My Favourite taste, just like a real banana shake! It remained me of some what like a banana angel delight flavouring. So for me this is gorgeous and hits that sweet tooth craving perfectly It's just a shame it's only 200ml of it because I could quite easily drink more. I love this shake honestly taste so good. I forget it’s even an exabte shake taste so much like the McDonald’s shake !! 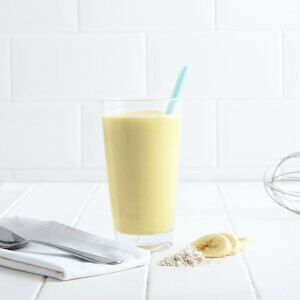 I love the Lemon Cheesecake Smoothie Shake and I like the Chocolate Shake when made with almost boiling water for a Hot Chocolate, but the Banana Shake is my favourite out of all the diet shakes I've ever tried, including other brands. It's creamy and delicious and doesn't feel like a diet shake at all. I prefer the Banana Shake to the Banana Smoothie as I find the Banana Smoothie a little gritty. Actually delicious, I’ve tried other brand shakes before and they were often a bit ‘dusty’ but not this one, it has a lovely banana flavour, texture is lovely and it’s also very filling. Will be buying more! The banana flavor is my favorite its just like a very popular chain beginning with M brand shake but probably about more then half the calories. Add a little more water & ice then blend it, turns into a lovely thick shake! Love! 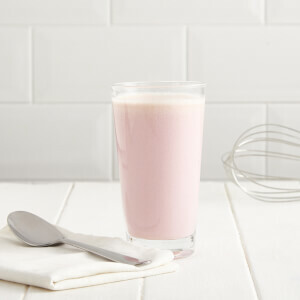 These shakes are delicious, they're quick and easy to prepare and they taste wonderful. It doesn't feel like you're on a diet when you can enjoy shakes like these and still lose weight!